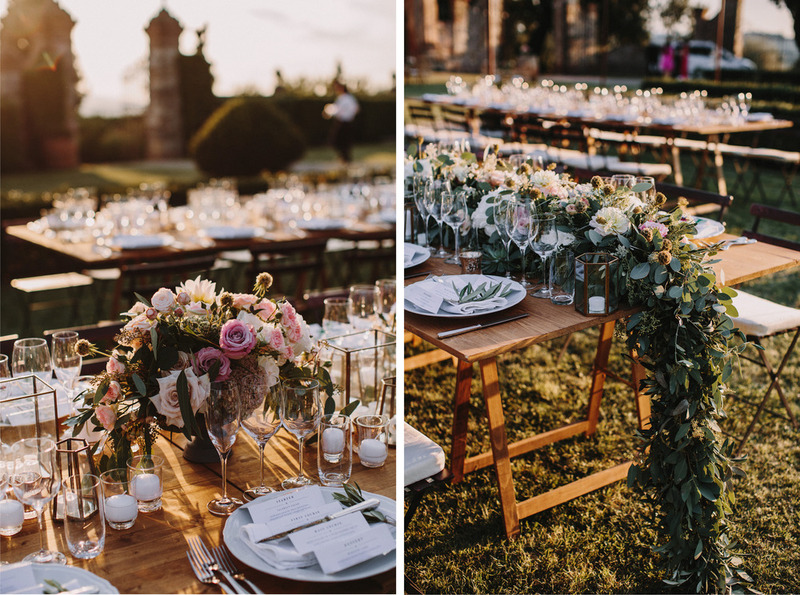 Yasser and Noor got married in the rolling hills of Tuscany, Italy. 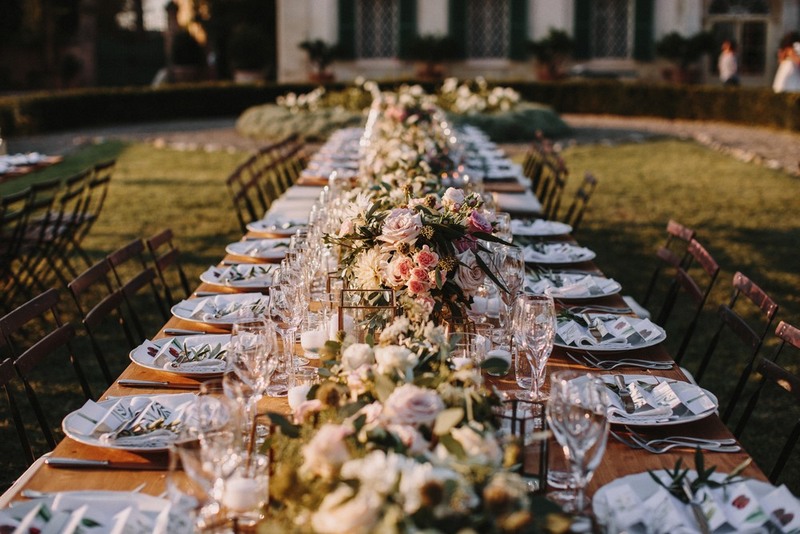 Villa di Geggiano was the perfect backdrop for their winery inspired wedding. 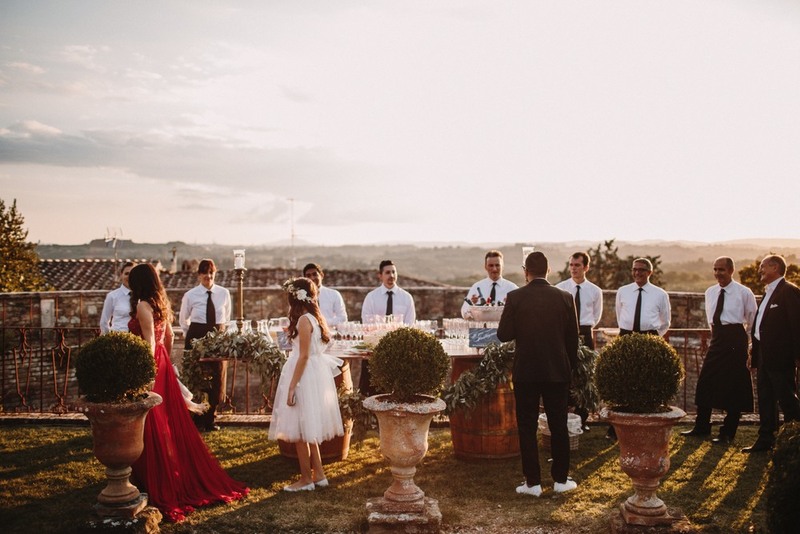 A cocktail reception was held in the kitchen garden with views of the sun setting over Siena. 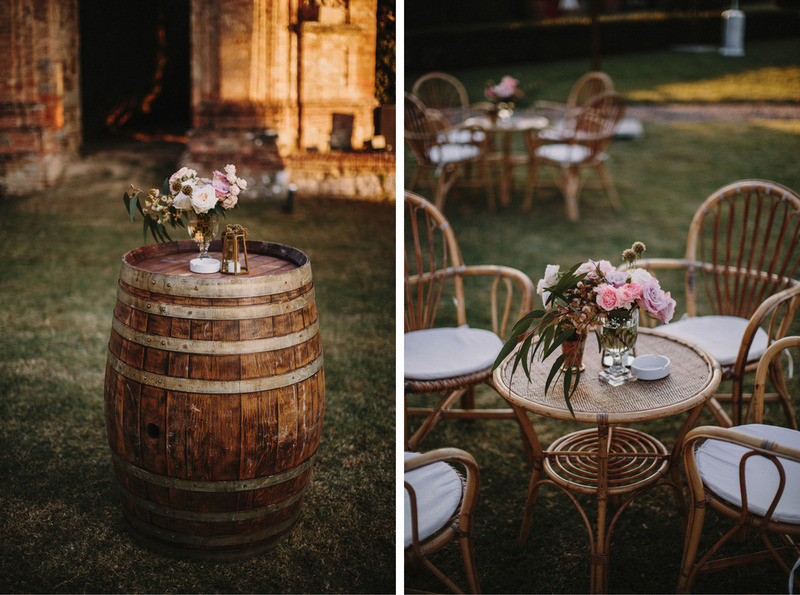 Rustic barrels and wooden tables helped showcase the lush floral runners and modern geometric candle holders. Strings of festoon lights mimicked the starry skies. The highlight was when the couple served their guests ice cream from a gelato truck.